Ships today if you order in the next 5 hours 15 minutes. Lecithin is a common cellular compound in all living organisms. It is required for appropriate biological functioning. Most of its benefits are related to the nervous and circulatory systems. Lecithin has a pharmacological use for neurologic disorders and dementias. Premier Research Labs offers it in its Premier Lecithin Granules, a premier emulsifier that offers brain and nerve support. One serving (1 tablespoon) offers 8 g soy lecithin. This product is packaged in PET plastic Violite bottles, which block damaging light frequencies from damaging the ingredients. 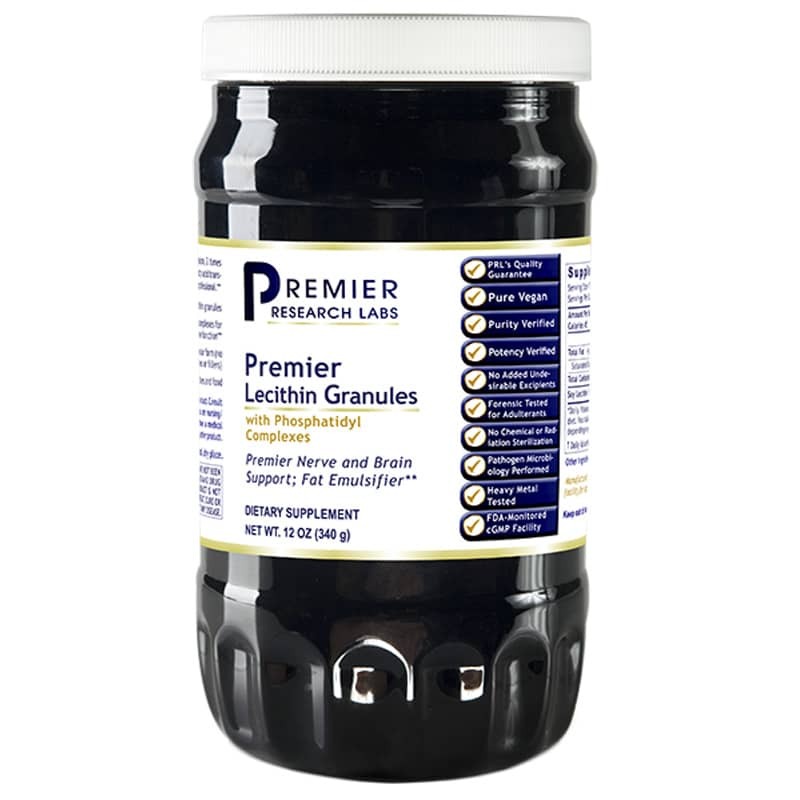 If you're looking for a natural lecithin supplement that offers brain and nerve support, Premier Research Labs' Premier Lecithin Granules may be for you. Order online today! Adults: Take 1 tablespoon, 2 times daily mixed in food or as directed by your health professional. like to use prl lecithin with prl whey protein. it helps to make the protein drink smoother and creamier.also good to use with certain vitamins like lutein and ,astaxanthin.